As Canadians, we have a reputation for being polite, helpful, and giving. Toronto is no exception. Across the city, there are countless individuals donating their time, money, and resources to helping their community. They’re not celebrities, and in many cases their efforts aren’t celebrated, but their impact is certainly felt by the many people they help. 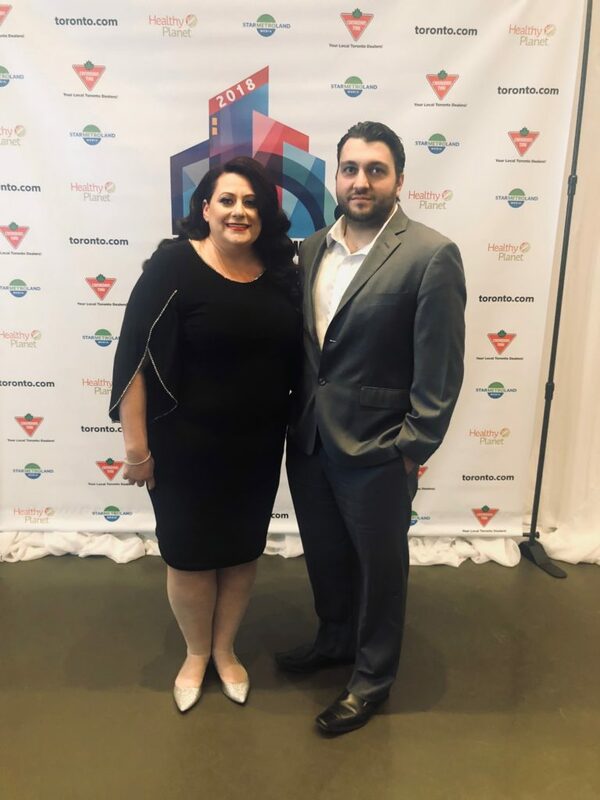 For years now, Metroland Media Toronto has shined a spotlight on these individuals annually. 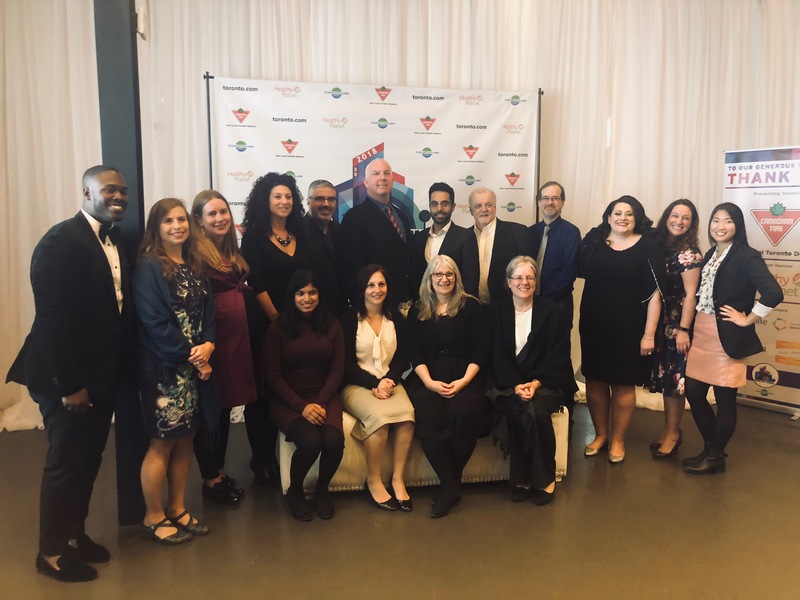 Created in 2009, the Urban Hero Awards recognizes community leaders in eight categories – Arts, Business, Education, Environment, Good Neighbour, Health, Social Issues, and Sports. This year, there was nearly 12,000 votes cast in three weeks during the city-wide competition to choose 16 Urban Heroes. 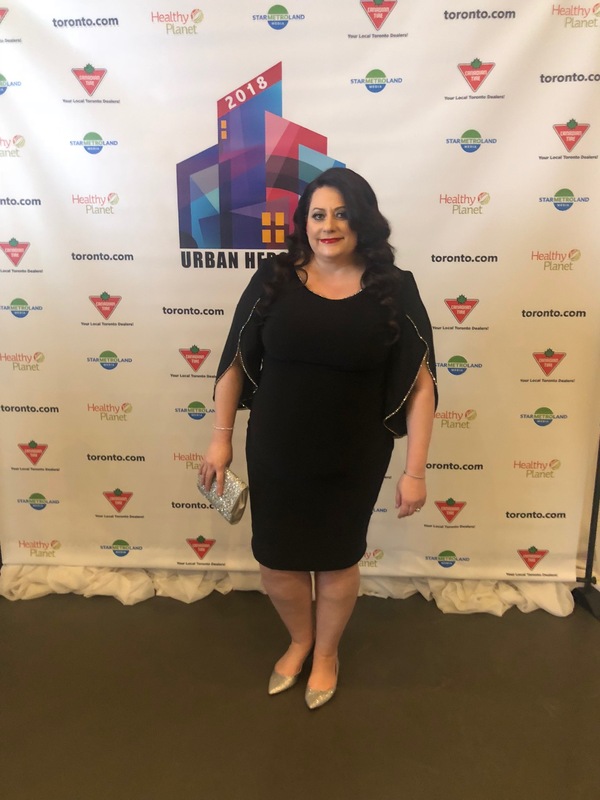 We’re thrilled to announce that Josie Candito (Co-Owner of Master Mechanic High Park) has been selected as a recipient of the Urban Hero Award for all that she does for the Parkdale-High Park community and beyond. Josie was chosen in the ‘Good Neighbour’ category, which recognizes individuals who uplift their community. For those of you familiar with Josie’s charitable efforts, this shouldn’t come as any surprise. 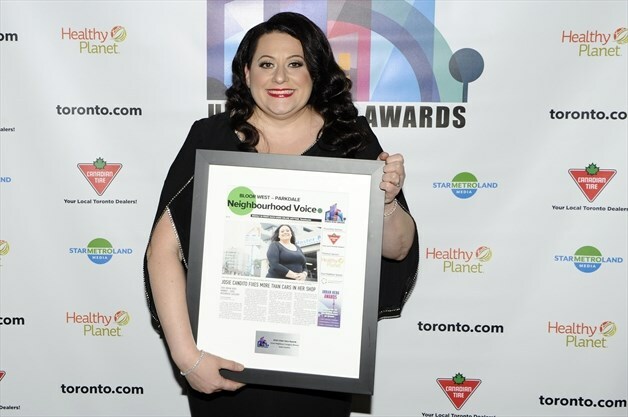 From raising money for SickKids Hospital, to mentoring young women in the automotive industry, to advocating for animal rights, Josie has always made it her mission to empower those around her. As an Urban Hero, Josie is among some pretty incredible company. Last year’s winners included Sharon Nyarko, who worked to break the stigma around mental illness, and Oksana Hrycyna who brought cultural education to orphans in the Ukraine. “I am honored, and honestly in awe, to receive the Urban Hero award. In my last 20 year journey, I have met so many incredible individuals that help those around them and who also deserve recognition for what they do. I would like to share this award with everyone that inspired me to do good in the world through example,” Josie began her emotional speech. All other recipients were in attendance for a wonderful evening of positivity and good vibes. Josie is always happy to hear from the community and meet her neighbours. If you’re near Master Mechanic High Park, stop by–and bring your pup by, if you have one! Read more about Josies Urban Hero Award here and check out the full list of winners! < Master Mechanic High Park: Brandon Gets His Mechanic License!